Hi there! 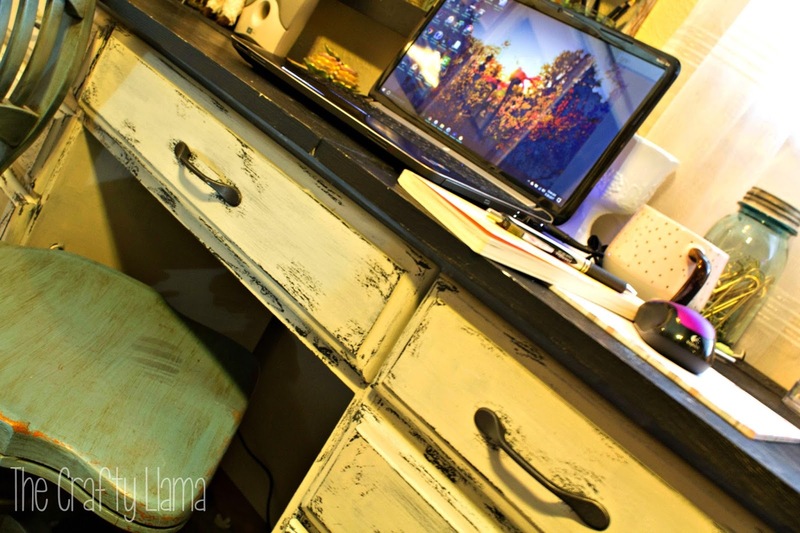 Today I’m going to share my desk make over! I got this desk when my parents upgraded their desk almost 10 years ago. This desk was the desk my parents used when they first started their trucking business back in 1989. It’s been around the block more than a few times. I remember sitting at this desk doing homework on our first computer, using messaging my friends (and boys) on AOL. It saw me through writing papers and applying for college. 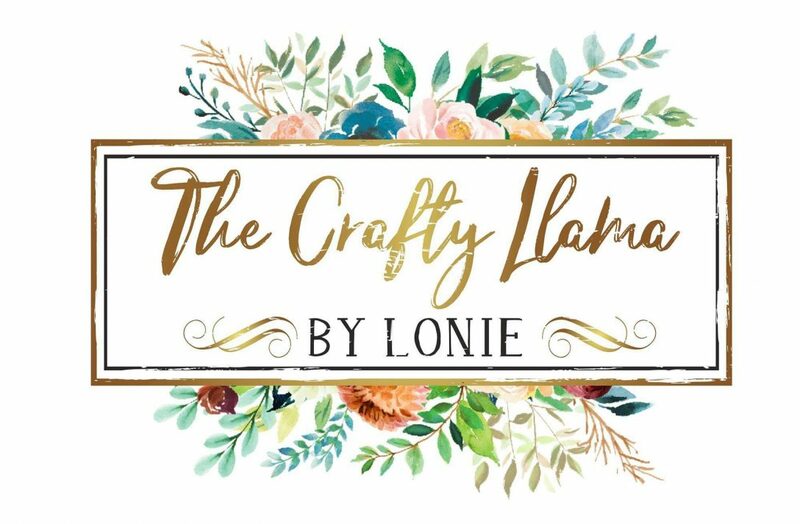 Now it’s where I do most of my crafting and writing. My newest addition is my vintage Marquette Pennant. I found back at the beginning of March when I went on my Vintage Shop Hop adventure! I had it up just in time for March Madness, but alas, it didn’t really help Marquette Basketball. Until next season! Anyway Back to the desk. 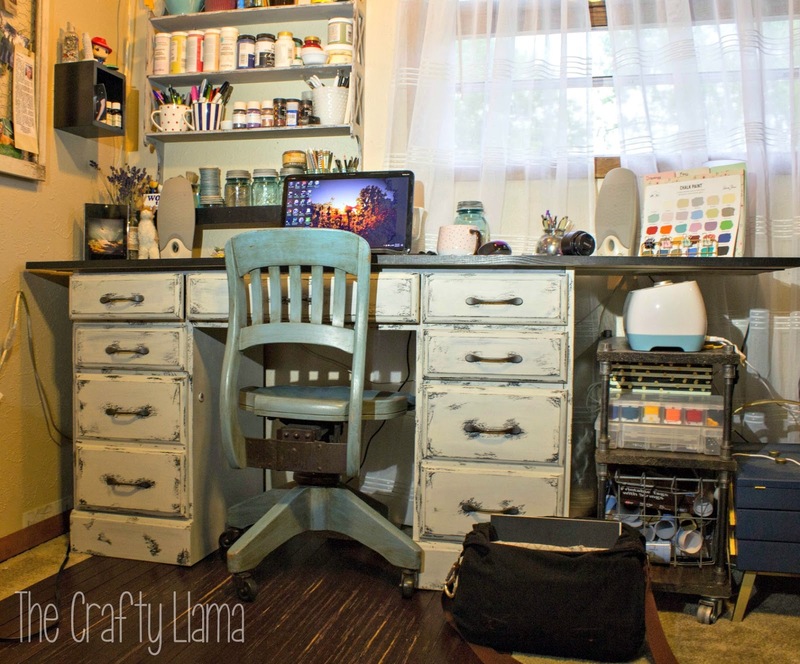 Originally, it was a pretty typical desk, with no frills. Back in 2007, I had repainted the desk just a simple black. Then in 2014 it started pealing so I tried to cover it up by touching up the black and then stenciling over it in turquoise. I got this wonderful idea to try it while I was working from home. My old position allowed me to multi task, and man I took advantage of that. I painted the version below during my down time between calls. So my before picture is when when it was still painted black and turquoise. Wasn’t she a beauty? I liked for a while and the novelty of it wore off, literally. After a while all layers of paint started pealing and wearing off, You can kind of see it in the picture above. 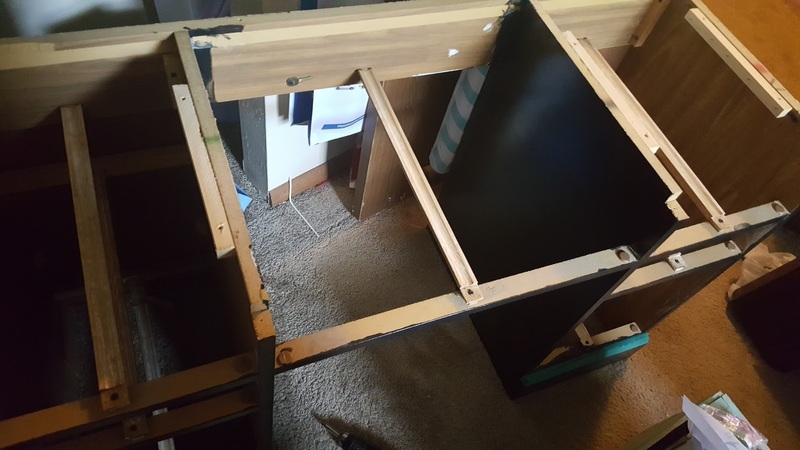 To start, I removed the drawers, the top of the desk, and the hardware. I did forget to remove two screws and ended up taking a chunk of the bracket that attached the top. Oops. So next time I know that I will have to make sure that all of the screws are removed. After I took the top off, I brought the desk downstairs and outside to strip and sanded the desk. You can even see the original “wood”. 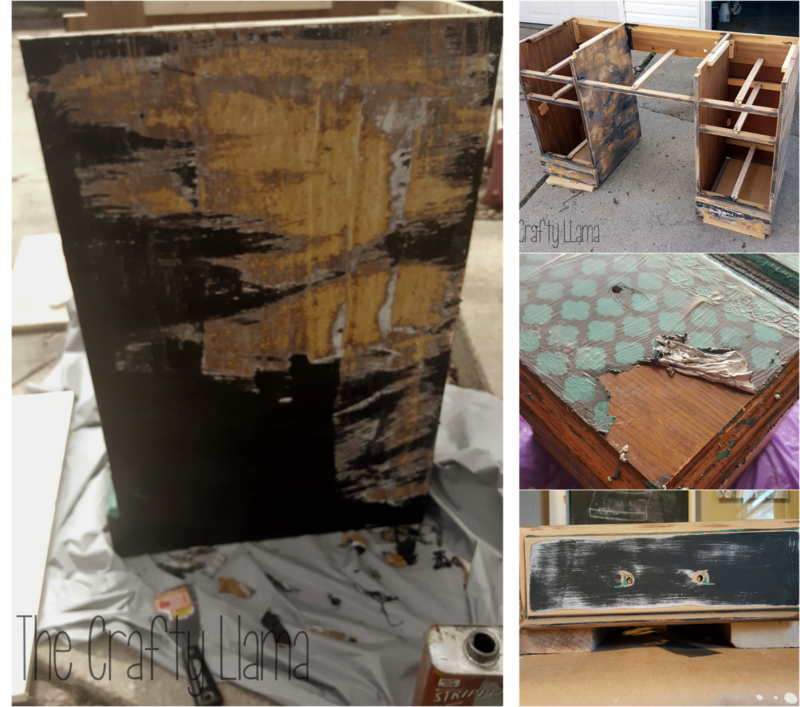 This is why I love chalk paint. After a quick sand and wipe down, I was able to paint right over the dated wood veneer. 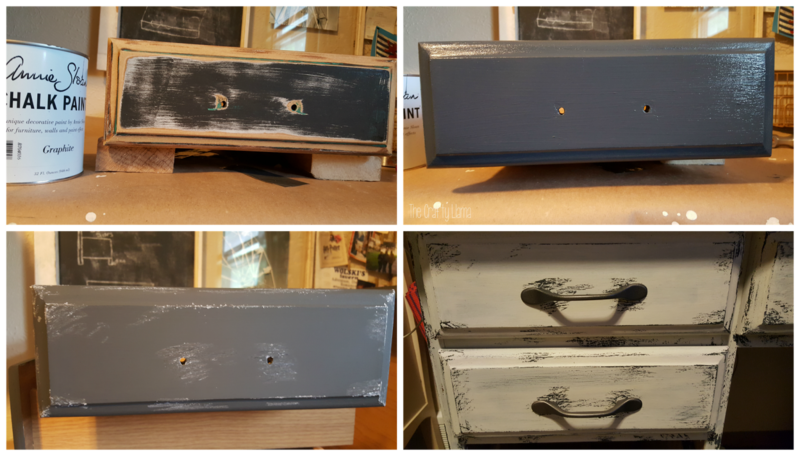 I then painted the desk in Annie Sloan’s Graphite. After letting the paint dry, I took wax puck and started to rub the wax haphazardly, focusing on areas that would have more wear. The top layer was painted in Miss Mustard Seed’s Grain Sack. 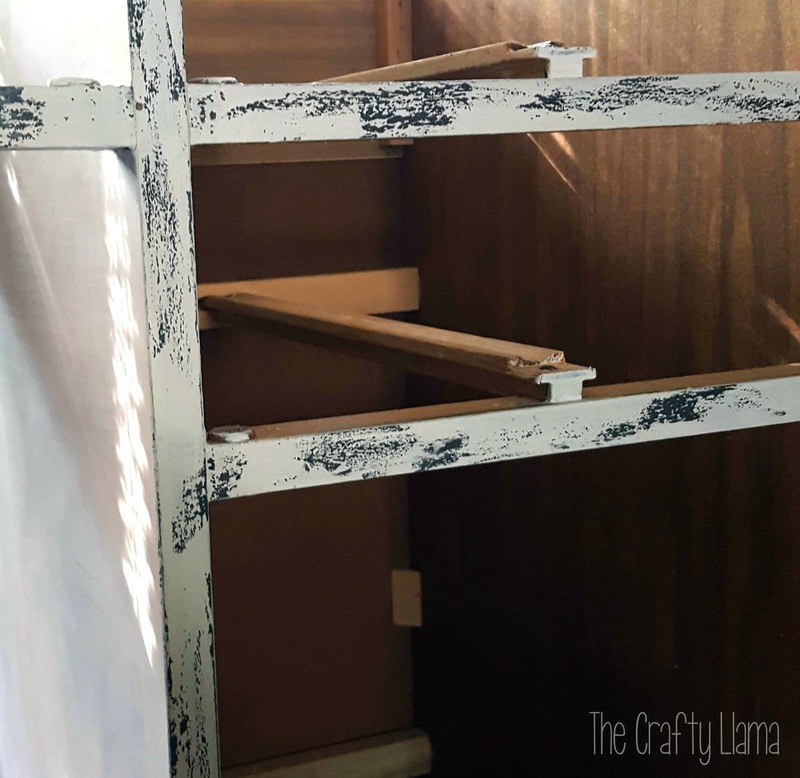 Once the paint was dried, I distressed the desk, using tape. I put the duct tape on, and pulled it off taking paint and wax with it. This resist method left the dark grey underneath. This process reminds me of waxing my eyebrows…which reminds me to make an appointment to get mine done! Here’s an up close shot of the chippy goodness left after I was done. I gave the desk a light sanding, and it with a clear wax. 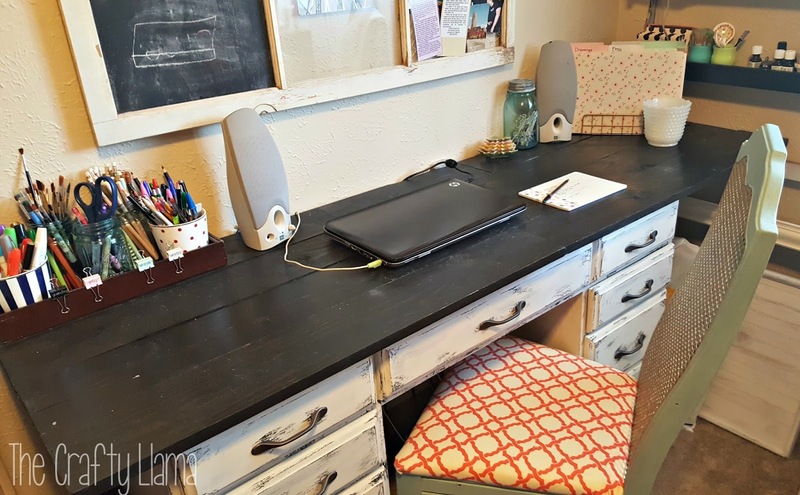 To make the top of the desk, I purchased pine boards that were 6′ x 4″ x 1″. 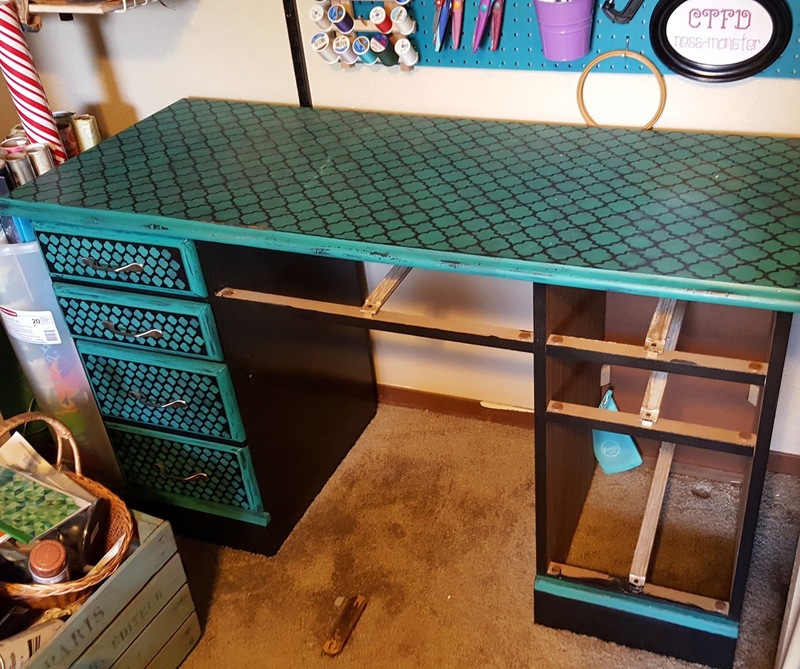 I wanted the top of the desk to be longer than what it originally was. Right now, the excess hangs off to the right side and is a place where I can store my Cricut and supplies. I didn’t want to just lay boards across and call it a day, so I decided to cut the boards to various lengths and attach them together. I thought this would give the top a more rustic look. To attach the boards together, I used pocket holes made with my Kreg jig. Once the top was all put together, I set about staining it. I chose Rustoleum’s Ebony stain. I like the contrast between a dark top and the light bottom. I’m not sure what happened to most of my photos of the progress of the top of the desk. This is the best picture I have showing the top with minimal stuff on it. I had replaced the handles on the desk the first time I redid it. Instead of replacing them again, I repainted them. 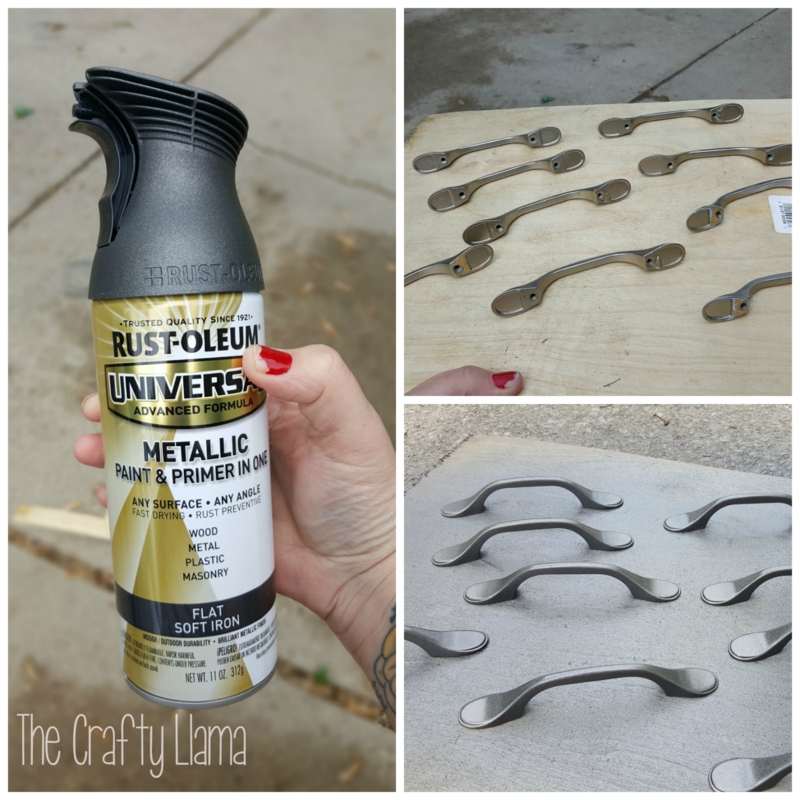 I used Rustoleum’s Soft Iron. I really liked the warm gray and thought it would be a nice compliment to the base coat of graphite. I’ve rearranged my office a few times since I finished the desk and I replaced the chair with a rolling one I purchased off of a Facebook group for $20. I may make some modifications to the desk top in the future. I may decide to round the edges a bit. they are a little sharp on my arms. I may put some sort of protective top over the stain. For now I’m really happy with how it turned out. Even with this last picture being a bit yellow. I think that you did an amazing job with the desk. 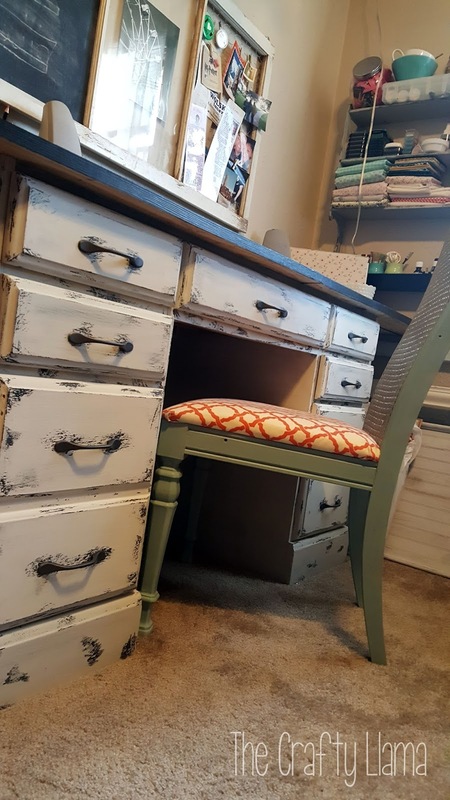 Its wonderful when you can keep furniture and other family pieces and redo them to your liking. Keep up the good job. Enjoy making yourself and others happy!